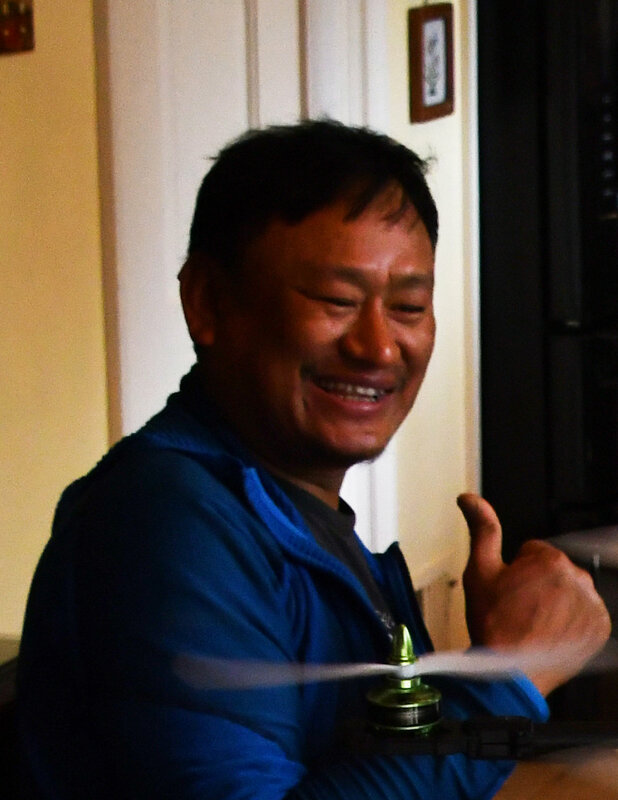 Sherpa mountaineer, Ang Tshering Lama, whom I had met in Kathmandu last June, visited my home in Virginia, to be checked out on drone construction, programming, operations, and maintenance. Dr. Ronald Pandolfi and Princess Aliyah Pandolfi, Kashmir World Foundation, worked with Ang on a high-performance hexacopter, that would he would take to Everest Camp 3 at 23,000 feet, and maybe above, along with my CAD-designed, 3-D printed, ultra-high-altitude, modular quadcopter, Lotus II, for comparative testing. Upon his return to Kathmandu, Ang dropped off the drones, a couple of new transmitters, and a lot of spare parts at Kanjirowa. There, with the help of experts from the Robotics Association of Nepal, the students would build my 3-D printed drones and fly those and the hex, for practice, on the school campus. When weather permits, either later this year or in the next climbing season, Ang will take the hex and quad "up there" for the planned flight tests. The results will inform Nepal Robotics' further design work.